KON TUM – Deputy Prime Minister Trương Hòa Bình has asked local authorities of Kon Tum Province to inspect illegal construction work on agricultural land being carried out by an official of the province. 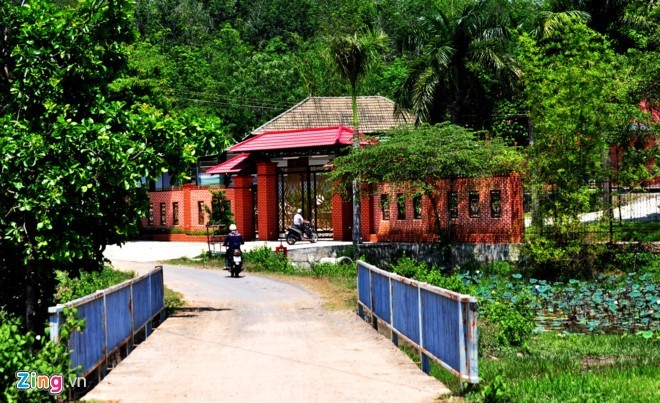 The request was made following recent reports that Phạm Thanh Hà, member of the Standing Committee of the Provincial Party Committee and head of the Kon Tum Economic Zone Management Board, had built his own palace in Đắk Cấm Commune, Kon Tum City, on agricultural land. Many locals complained, saying that authorised agencies had not done anything in connection with the matter. Previously, Hà admitted to the local press that he began constructing the palace in 1991 on a 2,000sq.m. area. In August, 2010, he prepared a document to transfer 1,000sq.m. of land from agricultural land to rural land. In May 2011, he prepared a land use right certificate for a total of more than 25ha. Of that, 2,000sq.m. was rural land and the rest was agricultural land. Leaders of Đắk Cấm Commune’s People’s Committee said Hà’s land was the only area that had been successfully transfered from agricultural to rural land.